– Philip Hersh writing in the Chicago Tribune about how USATF seems to be more focused on gaining “places within IAAF governance rather than places on the awards podium” and how it showed in Beijing, with yet another failed men’s 4 x 100 and more. 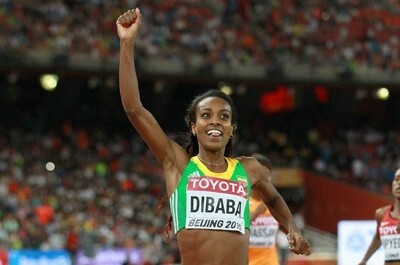 Dibaba or Ayana: More impressive second half? American Record in Zurich 3K? 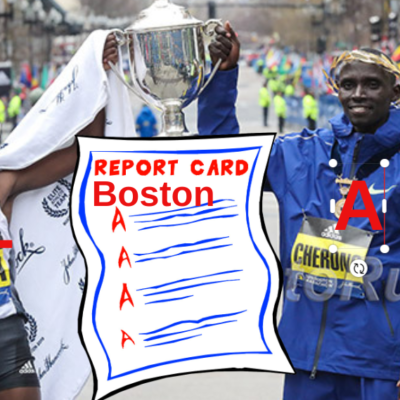 LRC Full Meet Recap: Asbel Reigns Supreme, Ayana Takes Down Dibaba (Again), Eunice Sum Rebounds as David Rudisha and The Steeplechase Medallists Struggle $50,000 paydays were on the line in a number of events which helped spice up the action and prevent the athletes from succumbing to post-Worlds jet-lag/hangovers. 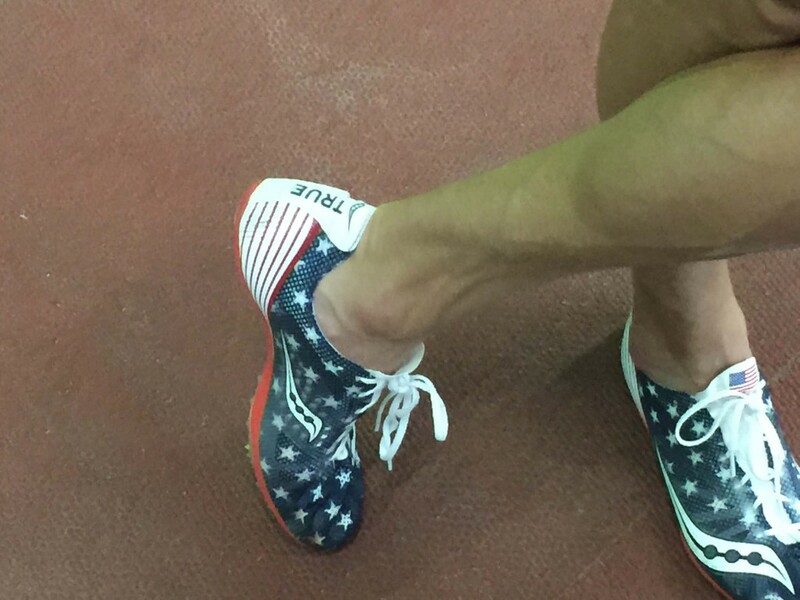 How did Evan Jager, Jenny Simpson, Shannon Rowbury, Emily Infeld, Robby Andrews and Leo the Lion do? 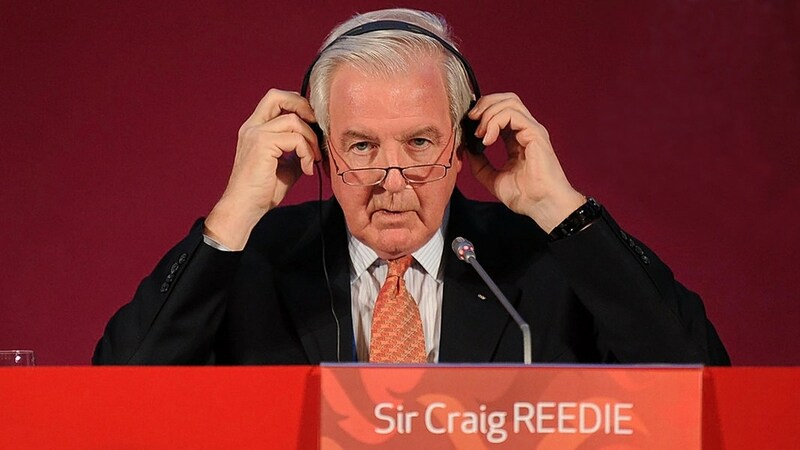 ARD Doping Writer Hajo Seppelt Asks If There Is Collusion Between WADA President Craig Reedie And The Russian Governement (translated) Seppelt picks apart a leaked email between Reedie and Russian anti-doping adviser Natalia Zhelanova. You can read the email in full here and from what we’re reading there doesn’t seem to be any “collusion”‘ or scandal. However, we weren’t thrilled with where Reedie says WADA was pressured into actually launching an investigation. Russian Sports Minister Vitaly Mutko Says They Won’t Yield To Pressure By Western Media Organizations Demanding Bans He claims the audio and video recordings used to catch Russian athletes on tape admitting to doping are “illegal methods of information gathering” and that they won’t ban athletes based on them. We hope WADA/IAAF disagree. Australian Race Walker Jared Tallent Takes Shot At Russia After Getting Silver At Worlds: “First time in a long time in the 50K we’ve had a clean podium.” Like gold winner Matej Toth, Tallent is boycotting next year’s World Cup because it is being held in Russia. Justin Gatlin And His Agent Release Letters From 2010 Which Include An Apology And Willingness To Cooperate In Combating Doping They released these letters in response to those saying Gatlin never apologized for doping or tried to make amends. Good Read: Paul Kimmage Rips BBC’s Former Athletes For Biased Stances When It Comes To Doping Kimmage says they unfairly vilify Justin Gatlin while giving other athletes (like UK’s Linford Christie) a pass. The Guardian: “Dafne Schippers’ World Championship Success Should Not Mean Instant Condemnation” A lot of questions were asked after she ran the 3rd fastest 200 time ever (only behind FloJo and Marion Jones). On the issue of her adult acne, a Dutch writer said that both her mom and sister also have acne. Good Read: UK Independent: “Legacy Of Doping Means Clean Wins Meet With Distrust” Drug cheats ruin the sport for clean athletes and fans because even if the clean athletes win, they’re still under suspicion. The NY Times: “Tests, Near And Far, For Sebastian Coe, Track’s New Chief” Includes quote from former NYRR president Mary Wittenberg, advising Coe to ditch his connection with Nike. IAAF Summarizes Doping Program From Beijing Overall, 1,405 doping controls were carried out, including blood and urine tests, in and out of competition. Criminal Probe Into Asafa Powell And Sherone Simpson Dropped In Italy Powell, Simpson and Canadian trainer Christopher Xuereb were placed under criminal investigation two years ago when their hotel rooms were raided. AK President Isaiah Kiplagat Asks The Newly Formed Anti Doping Agency Of Kenya (ADAK) To Expedite Investigations Into The Two Sprinters Who Failed Drug Tests At Worlds Joy Zakari (400) and Fransisca Koki (400H) both failed tests at Worlds. LA Officially Launches Bid To Host 2024 Games 85% of the venues are already built or planned. USA Today Writer: “Los Angeles Saves USOC From Another Olympic-Sized Embarrassment” She says the USOC was “dumb” to choose Boston in the first place. Tokyo 2020 Scraps Olympic Logo After Charges Of Plagiarism They defended the logo, but are yielding to criticism. *24 Hours Earlier: Tokyo 2020 Stands By Olympic Emblem Amid Plagiarism Row Ironically, they changed from the original design to avoid copyright infringement and the original design “looked nothing like the Belgian theatre logo” which is claiming plagiarism now. 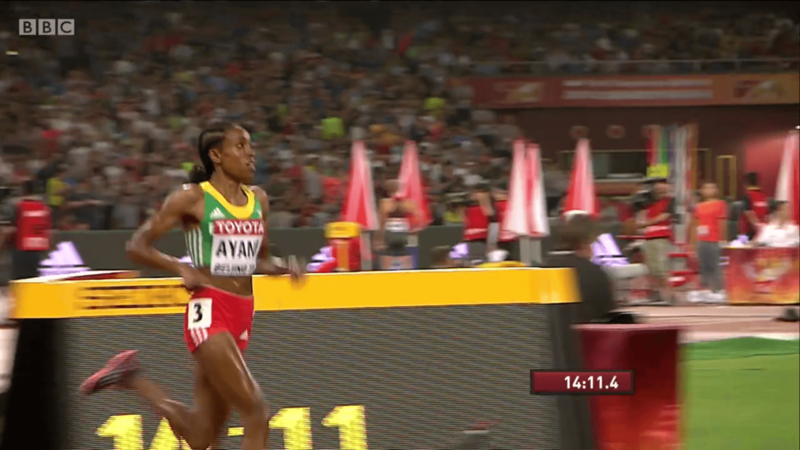 LRC W5k Almaz Ayana Does The Unthinkable And Runs Away From Genzebe Dibaba With An 8:19 Final 3k A huge, huge upset in dominant fashion as Ethiopia swept the medals. 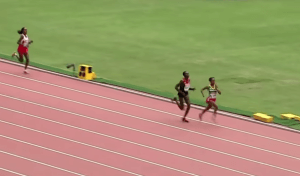 LRC Mare Dibaba Wins 100m Sprint For World Title, USA’s Selena Burla 10th, Reaction From Her And Esther Erb Dibaba ran 2:27:35 to Kiprop’s 2:27:36 and Eunice Kirwa‘s (Bahrain) 2:27:39. Serena Burla of the USA was still with the lead pack at 30k and finished 10th. IAAF Launches Pre-Emptive Strike Against The Sunday Times The IAAF has denied the new doping scandal story about systematic blood doping among past Russian under-23 athletes. LRC Day 7 Recap: What Drama: Bartoletta’s Clutch Last Jump To Win The Long Jump, Ashton Eaton’s Greatest Performance Ever? Dafne Schippers Wins The Greatest Women’s 200 Ever? The action Friday night in Beijing was unreal in so many places. *MB: Greatest w200 ever: Netherlands Dafne Schippers runs 21.63 championship record as 3 break 22.00!!! 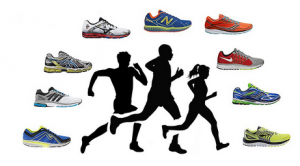 *MB: UnF****** Believable – Eaton 45.00 for 400! Bookmark This Page: Watch Worlds Without Knowing The Results If you’re looking for race videos, go here. 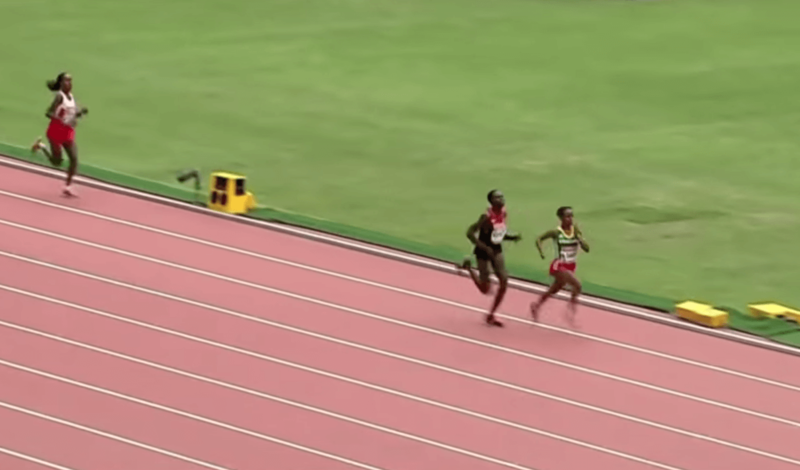 LRC Sifan Hassan Runs 1:58.50 And Goes Home (So Do The Americans): The Madness Of The Women’s 800 Semifinals 24 women, 10 PRs and no Americans in the final. The three women’s 800 semifinals were insane as Canada’s Melissa Bishop led all the qualifiers in 1:57.52 (a two-second PR!). Americans Molly Ludlow and Brenda Martinez went home as the final time qualifier was a ridiculous 1:58.35. 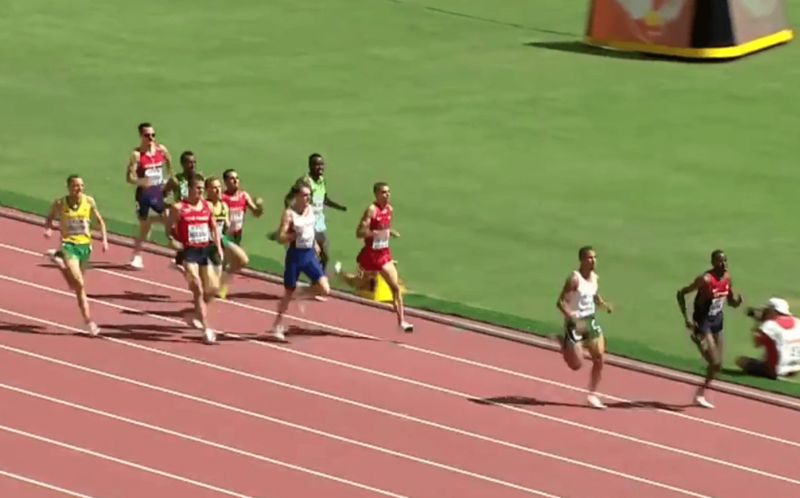 LRC Thursday AM: Souleiman OUT Of 1,500 As All 3 Americans Advance, American Women Disappoint In 5k The big news was Ayanleh Souleiman pulling up with injury in the 1,500 as Matt Centrowitz looked great in qualifying. 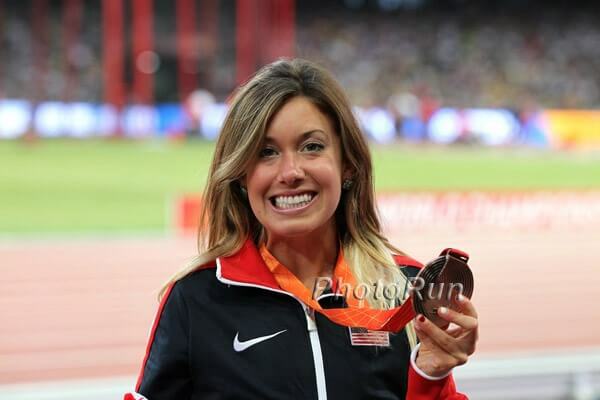 Nicole Tully advanced for the US in the 5k but did not run great. *Interviews With: Centro, Manzano, Andrews, Willis, Tully, Hall, D’Agostino and more in our article or on YouTube channel. LRC Marquis Dendy Talks After Failing To Make Finals In Long Jump At 2015 IAAF Worlds – Hopes Beijing Flop Will Fuel Him To Double Olympic Gold The US struggles in the sprints/jumps continued as both Marquis Dendy and Will Claye failed to make the triple jump final. 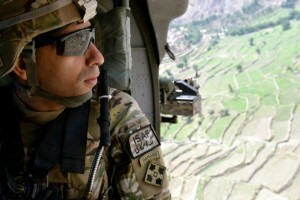 We look back at the wonderful (or not so wonderful??? for the US) World Champs. Aries Merritt Has Successful Kidney Transplant What he did at Worlds 4 days before a kidney transplant was amazing. Did Symmonds’s Stand Work? 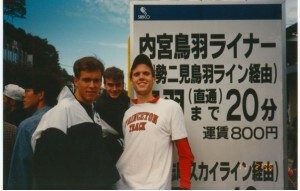 At World Championships, U.S. Athletes Weren’t Pressured to Wear Nike Gear Away From the Track Team members Nicole Tully and Esther Erb say they wore whatever they wanted outside competition (even easy runs and track workouts) with no pushback from USATF. David Woods For The Indy Star: Beijing Was One Of The US’s Worst Worlds Ever, But That Doesn’t Mean We Have To Panic For Rio The US won its fewest medals (18) since 2003 when doping bans dropped the total from 20 to 16. The US also took home zero gold medals in men’s individual running events, something that had never happened since the modern Olympic Games debuted in 1896. XC Rankings: Colorado Men Start NCAA DI Three-Peat Quest as Preseason Favorites Stanford, Syracuse, Oklahoma State and Wisconsin round out the top 5. Iowa State Tops DI Women’s Cross Country Preseason Poll New Mexico, Michigan State, Colorado and Georgetown round out the top 5. AK National Executive Committee To Decide Fate Of President Isaiah Kiplagat Kiplagat has been on sabbatical for 3 months campaigning for IAAF Vice President, which he lost. 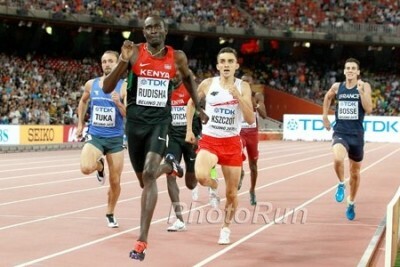 He will step away if the council says so and considering this was Kenya’s best Worlds ever, maybe he should. Seb Coe Releases Statement From His First Official Day As The New IAAF President A working group has been set up to look into the possibility of establishing a “new over-arching integrity unit” which would include an independent anti-doping operation. IAAF Athletes’ Commission Elected Includes Valerie Adams, Mutaz Essa Barshim and Yelena Isinbayeva. 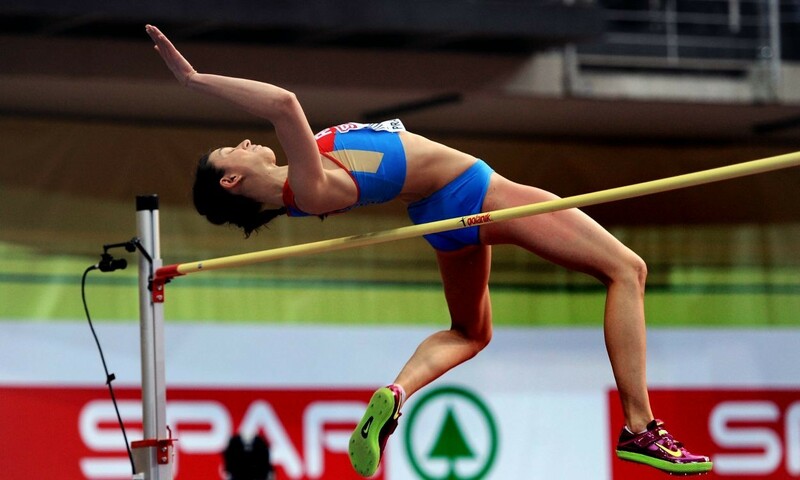 HJ: Russia’s Mariya Kuchina Beats Blanca Vlasic To Win World HJ Title Olympic champ Anna Chicherova was 3rd. 200: Usain Bolt Given Gift By Chinese Segway Man Who Crashed Into Him The cameraman gave him a bracelet and the two shook hands. Besides Segway Crash, Bolt Was Victim Of Multiple Mishaps A fan jumped on the track to try and get a picture with Bolt and a volunteer attempted to walk away with Bolt’s spikes. 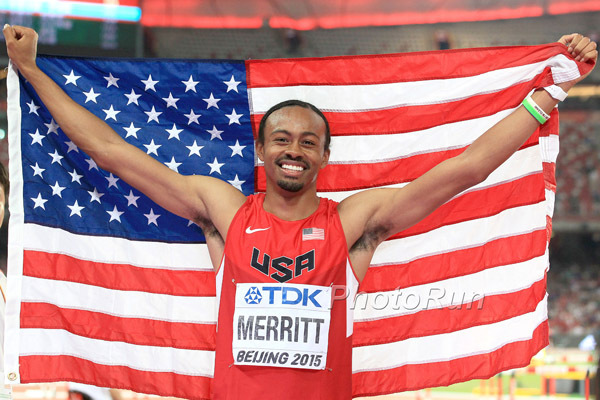 LRC Inspirational: Aries Merritt Captures Bronze Four Days Before He Undergoes A Kidney Transplant This one meant more to Merritt than his Olympic gold. Trey Hardee Pulls Out Of The Decathlon With A Back Injury Completely unrelated, but interesting tidbit from the article: Hardee’s two dogs are sponsored by a pet food company. We’ll bet they make more than a lot of track athletes. 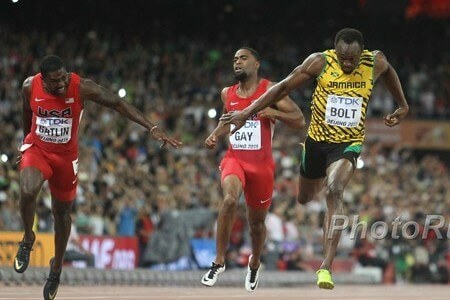 You Won’t Be Seeing Any Bolt Vs. Gatlin Rematches Any Time Soon They’ll both be at the Brussels Diamond League meet, but in different events. LRC Everything You Need To Know About Justin Gatlin’s Drug Positives Before His Showdown With Bolt, Including His Dad Got A Gun And Wanted To Kill Trevor Graham In a LetsRun first, we show some sympathy for Justin Gatlin, reveal how his dad intended to kill Trevor Graham when he heard his son tested positive (as part of an April Fool’s Prank), and how Gatlin’s own agent didn’t buy the Chris Whetstine sabotage story. 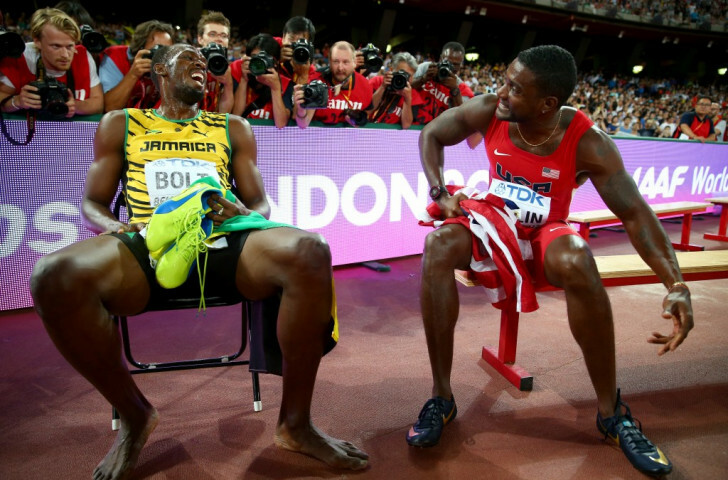 Plus, we go on the the record and say Gatlin should never have been banned 4 years. Good Read: Did You Never Make It To High School Nationals? Well, You’re In Good Company With Asbel Kiprop Kiprop also talks about his desire to win another world title and break the WR so he can be as great as El Guerrouj, his love for rally racing and possibly racing Mo Farah over 5,000m next year. NZ Distance Runner Kim Smith Is Lucky To Be Alive After Several Large Clots Were Found In Her Lungs After Giving Birth To Her First Child (link updated) She had surgery to get rid of the clots, but will have to stay on blood thinners for the rest of her life. Uganda’s Inaugural World Steeplechase Champion Dorcus Inzikuru Is Moving To The Marathon The 33-year-old won the first women’s World steeple title in 2005 and has a PR of 9:15. 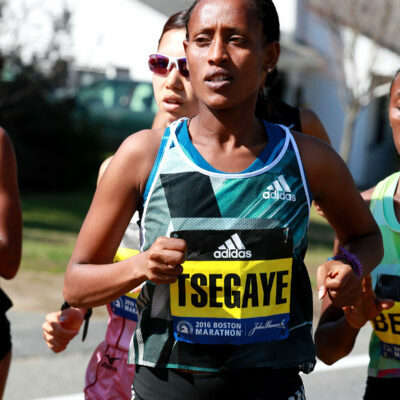 She ran her first marathon in 2013 with only a 2:42. Team Kenya Returns Home To Manic Joy, Chaos And Celebration (Includes Video) As is customary, the returning athletes were greeted to a huge celebration at the airport when they arrived. *Who Is Elijah Manangoi? 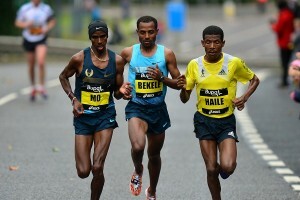 (Can He Supplant Kiprop?) He’s a Masai former 400m runner who is going to drink goat blood to celebrate his silver, getting the approval of David Rudisha. *Igiuder – The Next 5,000m Superstar! 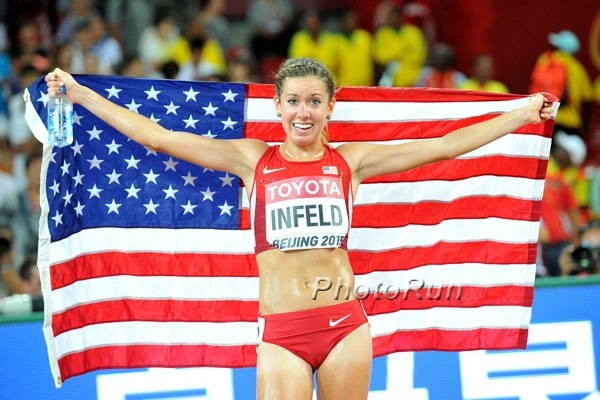 W4 X 400: US Women Lose 4 X 400 Despite 47.7 Split From Felix Video of the race here. Discuss here. Lowest U.S. medal haul since 2003. Is holding U.S. trials 2 months ahead of Worlds a good idea? Only 1 distance medal. 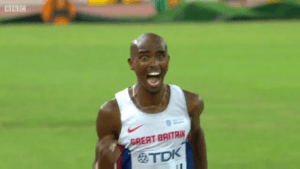 LRC Seventh Heaven: Mo Farah Captures 7th Global Title, Becomes First Man To Complete The 5,000/10,000 Double Three Times 7 years ago, Farah came to Beijing and did not make the 5,000 final. Now he leaves Beijing with GOAT talk. 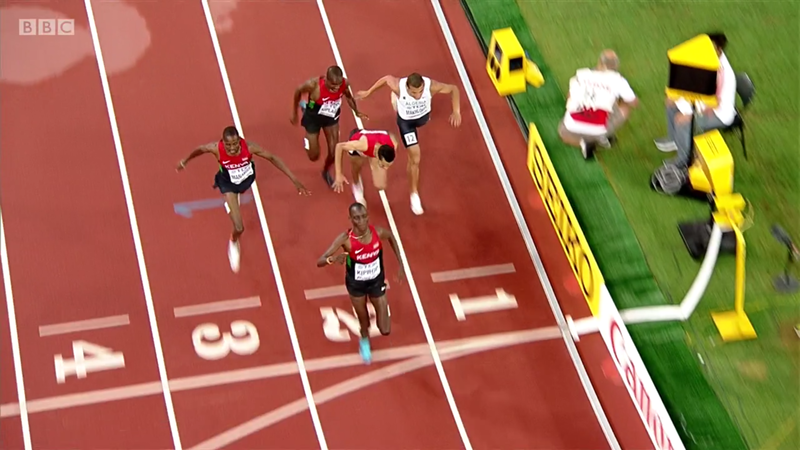 LRC Stop Us If You’ve Heard This Before: Ashton Eaton Breaks The World Record, Usain Bolt Completes The Triple And The U.S. Botches A Handoff A great night in the Bird’s Nest with a WR by Eaton and another botched US relay. MB: Ashton MF Eaton finds a 29.6 last 200. Breaks the WR!!!!! 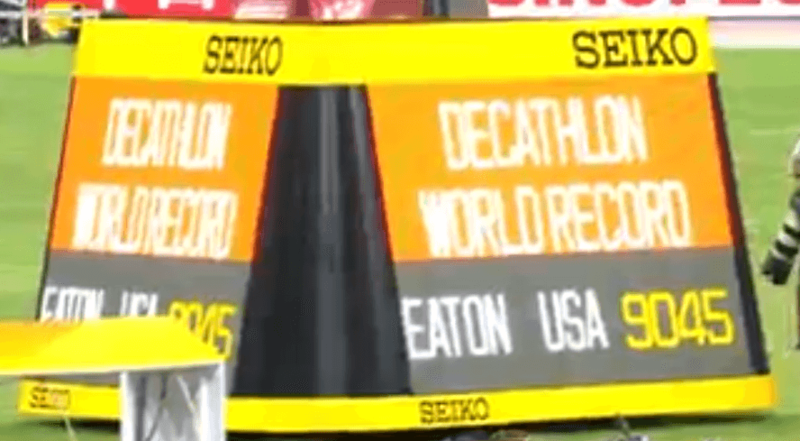 *UnF****** Believable – Eaton 45.00 for 400! The Triple Double Is Complete! 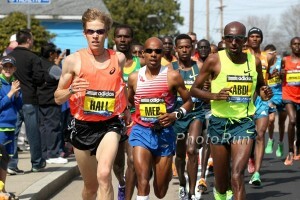 MB: Mo MF Farah runs last 800 in 148, last k in 2:19, last 1,600 in 3:55!!! 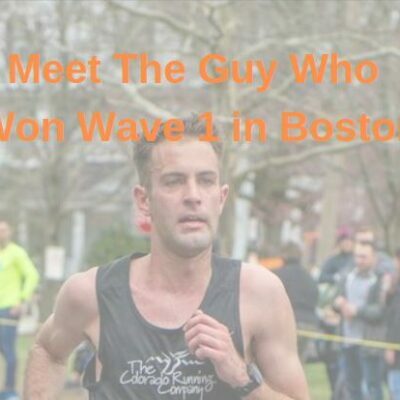 *How to beat a 3:28 guy in a 5,000m race? 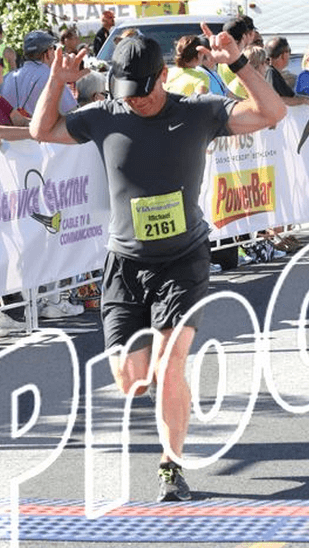 I know, lets run 15 minute pace for half the race! Decisions. LRC Belarus’ Marina Arzamasova Holds Off Melissa Bishop & Eunice Sum To Win Women’s 800 In 1:58.04 A super tight one for 800 glory. 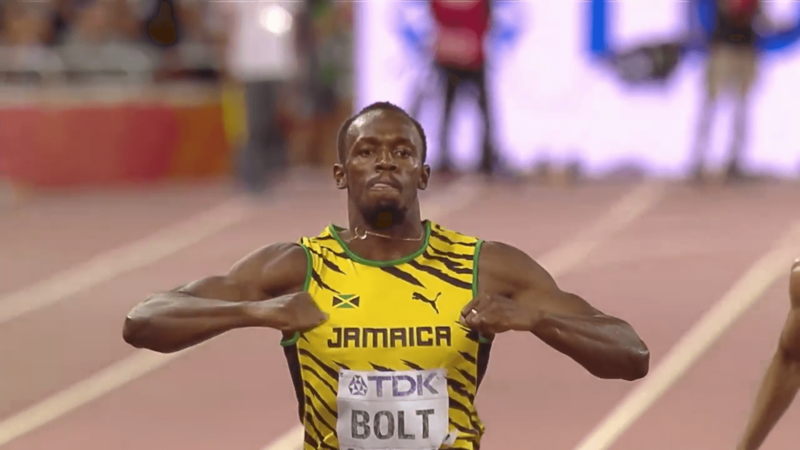 LRC Day 6 Recap: Bolt Beats Gatlin (Again) In 200, Christian Taylor Scares The World Record And Allyson Felix Reigns Supreme What a night of action at the Bird’s Nest as the US had a great night with the exception of Usain Bolt doing his thing over Justin Gatlin. Full Coverage in our 2015 Worlds Special Section. LRC Day 5 Recap: The Greatest 400 Race Ever? Wayde van Niekerk Wins A Blazing 400 In 43.48; Julius Yego’s 92.72 Bomb In Javelin, 20-Year-Old Shamier Little Impresses Three men broke 44.00 for the first time in history as former world champs LaShawn Merritt (43.65 PR) and Kirani James (43.78) had to settle for silver and bronze. Cuba’s Yarisley Silva won the pole vault in dramatic fashion, while Justin Gatlin (19.87) and Usain Bolt (19.95) cruised through the 200 semis to set up a thrilling final on Thursday. 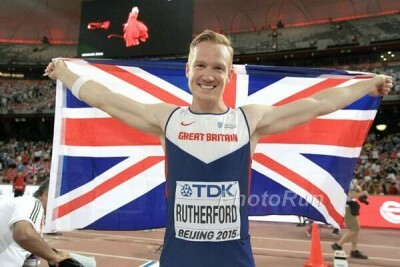 Good Read: Greg Rutherford’s LJ Victory Made Him Only The 5th British Athlete To Hold The World, Olympic, Commonwealth And European Titles Simultaneously Afterwards Rutherford took a jab at his critics who said his Olympic win in 2012 was a fluke. Polish Hammer Thrower Pawel Fajedek Wins Gold Medal, Gets Drunk, Uses It To Pay For Taxi Home Chinese media reports that Fajedek reported the medal lost and police helped him track it down to the cab driver. Kenya’s “YouTube Man” Julius Yego Wins World Javelin Title With Monster 92.72m Throw The throw set an African record and is third on the all-time list. *MB: Julius Yego throws 92.72m!!!! Yarisley Silva Wins Dramatic World Pole Vault Gold Silva was behind Fabian Murer on countback, but cleared 4.90m on her final effort. Greece’s Nikoleta Kyriakopoulou was 3rd. US’s Jenn Suhr and Sandi Morris finished in a three-way tie for 4th. Good Read: “The Rise And Rise Of Shawn Barber” A lot of interesting info on Canada’s World PV champion. Sam Chelanga always vowed he'd bring change to his totally impoverished village where his mother died when he was young. At age 20, he was told by marathon world record holder Paul Tergat he should become a runner if he wanted to go to college. Chelanga's first thought was no way. "I went home and I had made up my mind. This dream of helping people, trying to get a higher education, it's too much. 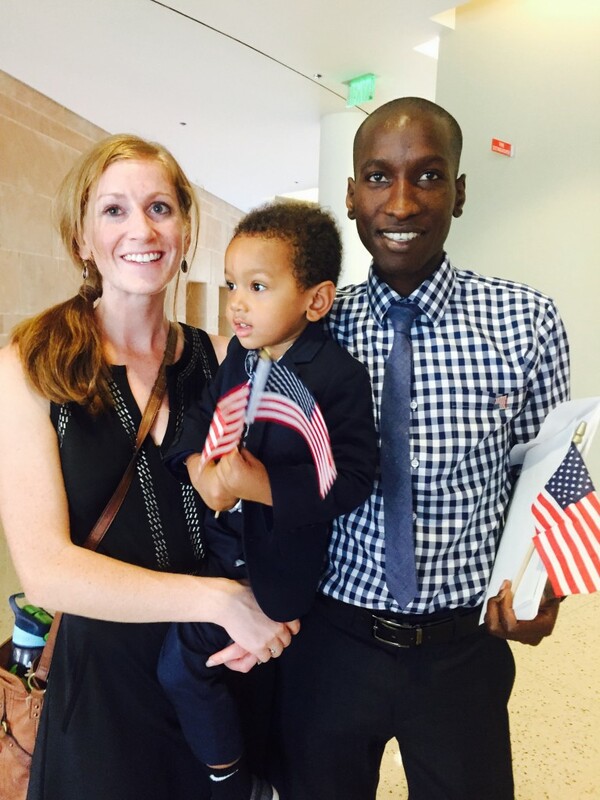 It's hurting me," said Chelanga, but in the end, he gave it a try and now a 27:08 collegiate record, 4 NCAA titles and favorite status for the 2016 US Olympic team are his reality - as is clean drinking water for his village.